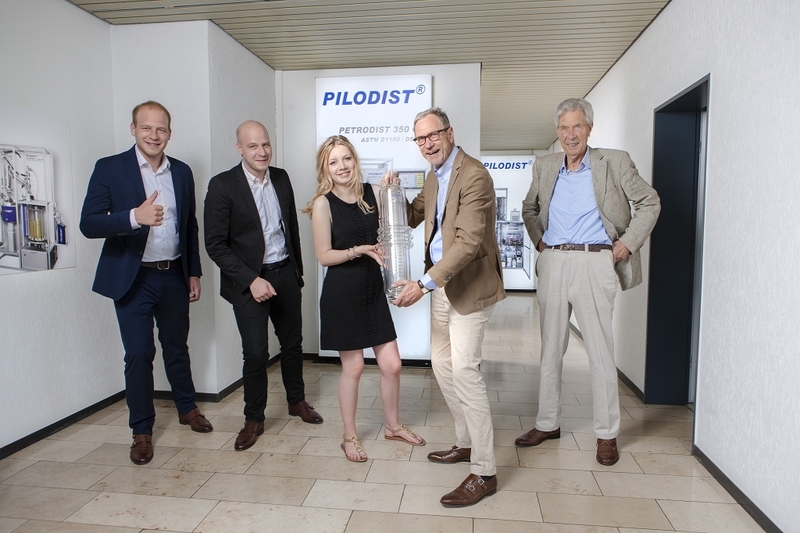 I am thankful and very happy to announce that with my children the third generation of Fischer family is joining operations of the new PILODIST GmbH. Please remember that it was my father Mr. W.G. Fischer, who started FISCHER Labor- und Verfahrenstechnik in the early 60ies, who introduced the worldwide first fully automatic distillation systems, followed by K. Jürgen Fischer, the current owner and managing director of PILODIST GmbH. The continuation of the family business and our successful story of developing and manufacturing standard and customized high performance distillation systems for various industries is now guaranteed by the next generation joining the company.